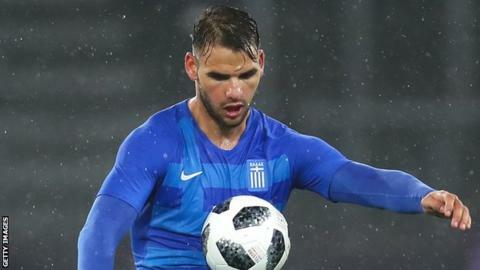 Nottingham Forest have signed Greece midfielder Panagiotis Tachtsidis on a deal until June 2020. The 27-year-old, capped 25 times by Greece, was a free agent following his release by Olympiakos on Friday. Tachtsidis, who had loan spells at Roma, Verona and Torino, has made 232 domestic appearances, scoring 13 goals. The midfielder becomes the 15th new signing since the end of last season for Forest, who have won only once in their first six league matches.